Trim Nails + Toe Hair – longer and untrimmed nails actually increase the chances your dog will be slipping and sliding, especially if there’s ice, and long toe hair accumulates water and ice which can be painful for your four-legged companion. Keep nails and toe hair trimmed for a more pleasant walking experience. Invest in a Coat, Booties, and Balms – These accessories can sometimes look silly on your dog (and your dog may not like them very much), but they’re incredibly effective. Snow, ice, and salt can be painful for your dog’s feet and if you have short-hair dog, a jacket can help them stay nice and comfortable during the walk. Plan Ahead – Know your limits and your dog’s limits depending on the weather and plan your route ahead of time. You don’t want to get caught in a snow drift or in an area that could present harm to your dog. Use a Backpack – Think about investing in a backpack to use while walking. The weight from the bag can actually help to calm the dog down and keep it focused on the task at hand – walking and having fun in a safe, controlled manner. Prevent Pulling + Keep a Tight Leash – During icy or particularly bad weather conditions, have your dog pull the leash can become very dangerous. Consider investing in a specialty “non-pull” leash which will help you keep your dog under control. Additionally, avoid letting them run off on their own unless in an enclosed play area. Lakes, ponds, and other potentially dangerous areas can freeze over in the winter and there’s no way of telling how solid the ice is. Understand Your Breed – Different breeds of dog have different needs and are susceptible to different weather conditions. Long hared dogs like Huskies or Malamutes are used to the cold and may actually enjoy being outside for long periods of time. 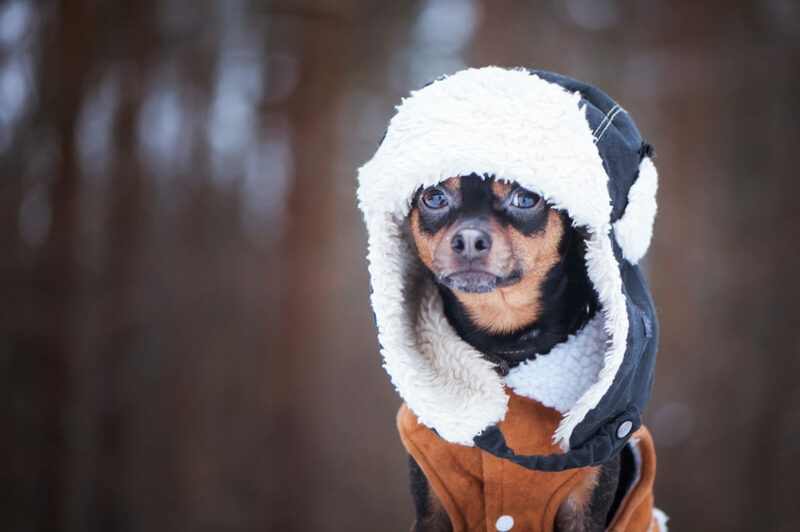 Short hair dogs like Terriers or Chihuahas can be particularly prone to colder conditions. Plan your route and length of walk based on that information. Keep it Short – It is important to walk your dog regularly, but not at the risk of their health or your own! Keep your walks short, but more frequent. Stick to the Sidewalk – While it can be fun to run around in large snow piles, these could present a number of unknown risks and dogs bellies, without the proper protection, are particularly susceptible to snow and chill. Try to stay on shoveled paths and sidewalks to keep your companion as warm and as safe as possible. Use Reflectors or Walk During the Day – If you’re walking at night, make sure you and your dog are wearing reflectors. Pedestrians are particularly hard to see at night and, in icy conditions, vehicles can have a harder time stopping. Stop Your Dog from Grazing – Naturally, your dog will want to explore and eat things during the course of your walk. This is something you’ll have to pay extra close attention to as during the winter, there are many potential hazards that your dog could ingest – most notably chemical ice-melts which are frequently used to de-ice sidewalks and walking areas. Watch Snow Ingestion – This may not seem like a big deal, but eating too much snow can be bad for your dog. For one, there may be chemicals in the snow that you can’t see, but, in large amounts, snow can upset your dog’s intestines and result in Winter Blap Disease. Make sure your dog has plenty to drink before the walk and consider bringing water along in case your dog gets thirsty. Try Alternative Exercise – If the weather is particularly bad, consider exploring an indoor class or indoor walking area. Wipe Their Paws Afterwards – Not only does this prevent your house from having water and mud tracked into it, but it also helps protect your dog’s paws from harm. Moisturize After – Think about investing in a pet safe skin conditioner. Just like human skin, dog’s paws can become dry and crack. Moisturizing will help prevent this. Use First Aid if Necessary – Even with all of the precautions in the world, there’s a chance your dog may still get hurt after a walk. If this is the case, make sure to follow proper first aid procedures for your dog with cleaning, sterilizing, and dressing the wound. 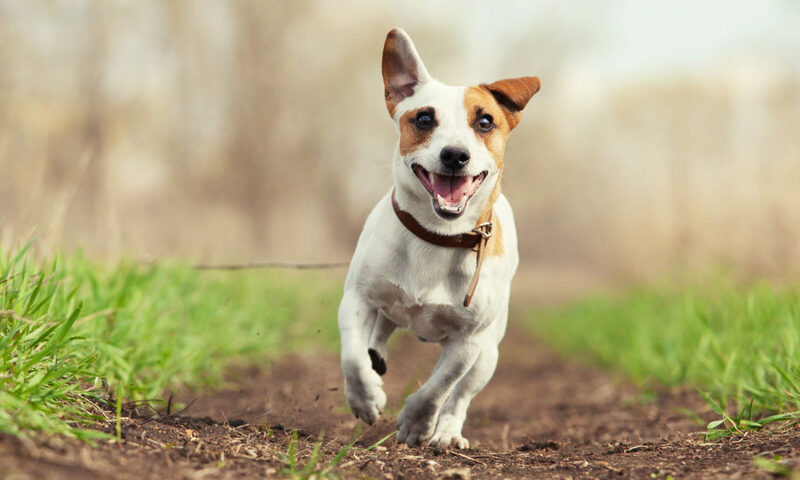 Avoid walking too much while your dog’s wounds heal and if you do walk, take the necessary steps to protect the wound from reopening. Next PostNext How Often Should You Walk Your Dog?